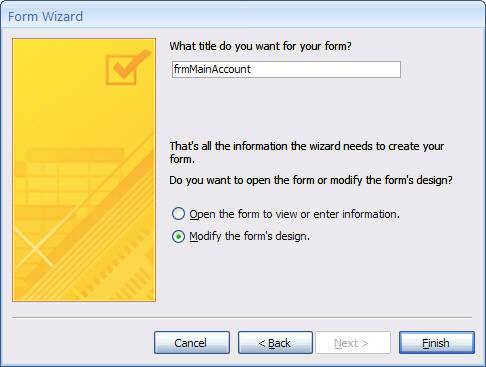 Form is one of the user interface between users and database. 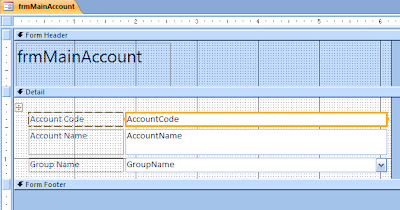 In the case of MS Access database, the form is user interface between the user and the table. 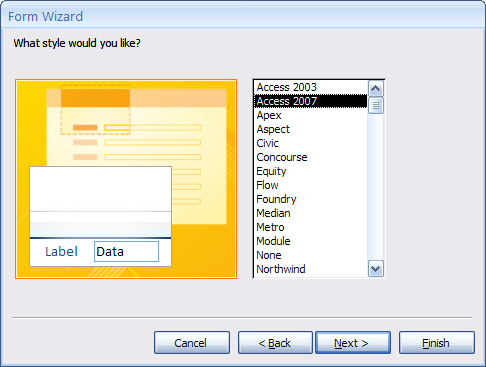 To add, delete, edit, and save a record, a user is not allowed (forbidden) to do so directly through the table. Database management systems such as MS Access, mySQL, SQL Server are an integrated database. So if we do edit a record directly in a table, other table(s) may be disturbed, so that the database may corrupt, become out of sync, or possibly be crashed. For that reasons, we should use form to add, delete, edit, and save a record. 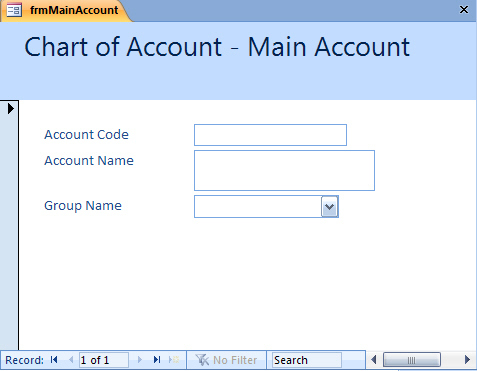 Other than that, form can be used as a navigation, guideline, even alert when an error occurred. 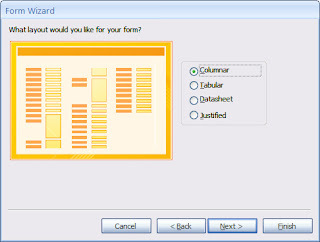 Click Create tab, choose More Form on the Forms Group, and click Form Wizard. 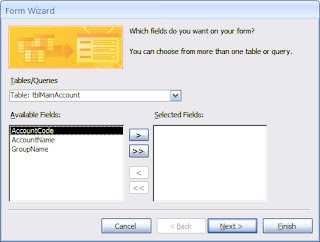 Click button to add all the Available Fields to Selected Fields. Click next button to continue. 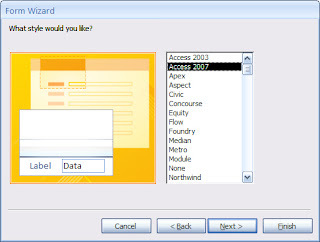 Choose Access 2007 and click next to continue. You may choose another style you would like, later. 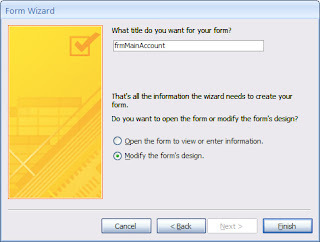 Type frmMainAccount as the form name, choose option Modify the form's design, and click Finish button to edit the design. 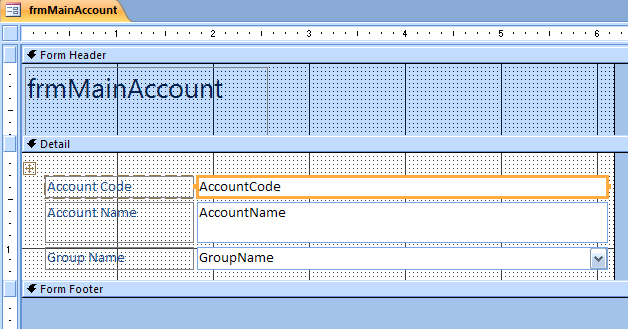 Inside the highlighted area, click right mouse to display the shortcut menu and choose Layout - Remove to remove the group layout to make individual layout. You may adjust the field width by dragging the border as per you like. 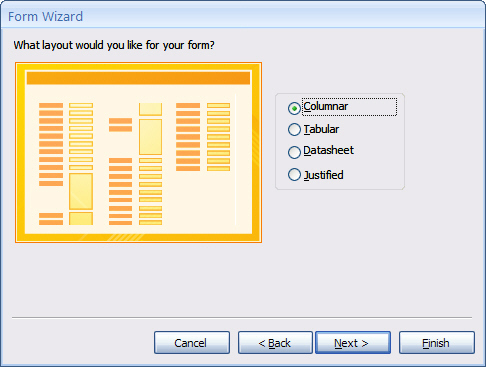 Choose more on the AutoFormat group, and click AutoFormat Wizard ... to Manage Auto Formats. 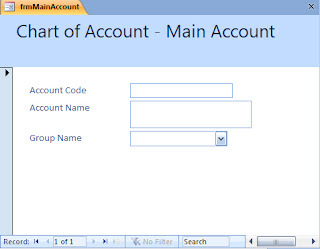 Choose Create a new AutoFormat based on the Form 'frmMainAccount'. Type 'AutoFormat1' in the Style Name, clik OK to confirm. Click OK to finish. Your AutiFormat1 is ready to format other forms.